One day, TLC Springwater (the official water of Quez Media) came into our offices with more than just the typical hand truck of refilled water cooler bottles. They needed to reinvent their online presence. 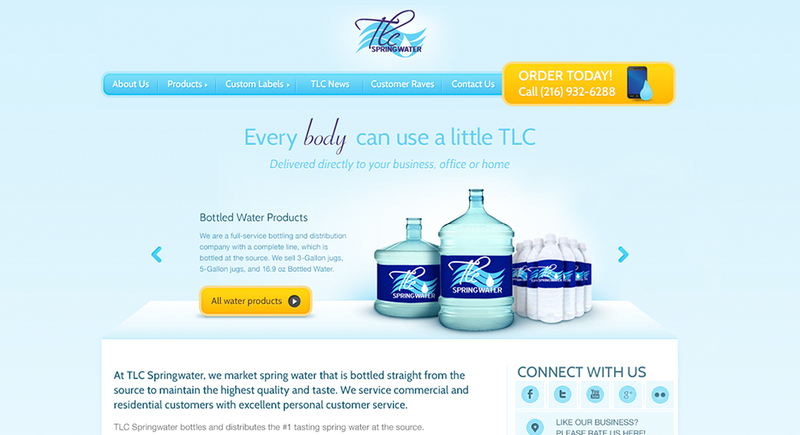 Quez mapped out a new plan for their website, and along with a design that is as refreshing as a cool glass of water itself, came up with some creative, interactive features for the page that actually made water interesting, including a water facts app and a hydration needs calculator.